After so many years of smooth cooperation, mr. Kostis Spyrou, publisher and owner of nextdeal.gr turned to intros.gr in order to help them with their new project «Ora asfalisis». 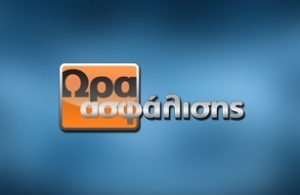 «Ora asfalisis », is a television broadcast, which is on the air every Thursday at 20:20 through EXTRA Channel. The producers of the talk show would like to create a website where the current broadcast will be available to anyone through his computer at his convenience. All the archive would be available as well, for further information. Live streaming will be available soon. In order to achieve the goal, intros.gr designed simple, user friendly and user oriented website, and developed it based on Joomla, incorporating Κ2 component and K2 responsive scroller, as well as custom modules, for video play. Another idea that we had during designing the website was to give the opportunity to the users of “Ora asfalisis” to get access to any useful information through nextdeal.gr, biggest portal regarding insurance. We developed it by adding a custom module, in order to have news and videos through the nextdeal.gr portal. We also used this module for Search Engine Optimization purposes.